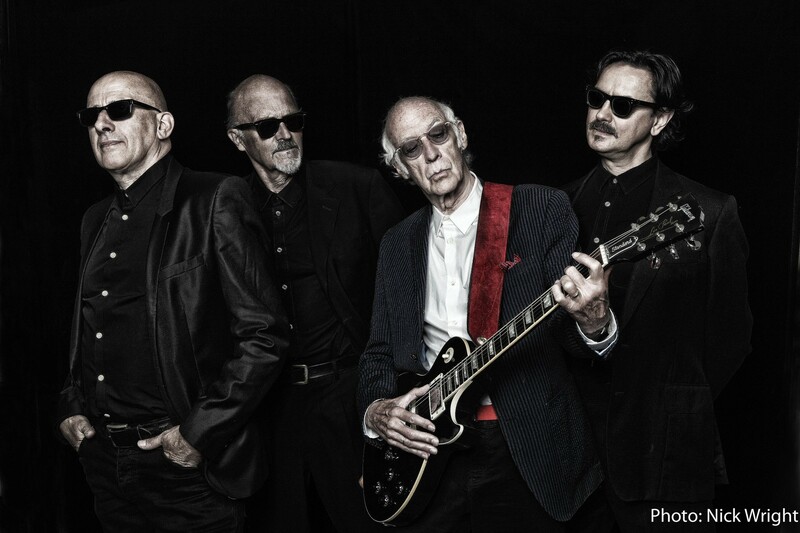 Roger McGough’s new show with Walter, Steve and Chris of LiTTLe MACHiNe features a fine selection of vintage, classic & surprising poems set to music. It’s a gala gig that’s making waves! Last seen and enjoyed in Launceston at the 2014 Charles Causley Festival, accompanying the poet laureate Carol Ann Duffy (“the most brilliant music and poetry band I’ve seen in decades “), LiTTLe MaCHiNe return with their energy, passion and humour for poetry and music. Formed in 2009, LiTTLe MACHiNe draw on three thousand years of poetry – Sappho, Chaucer, Shakespeare, Blake, Byron, Eliot, Larkin and many more – and set classic poems to music: music that moves the feet, for words that move the soul! LiTTLe MaCHiNe are the musicians, composers, and writers Walter Wray, Steve Halliwell & Chris Hardy. They have appeared with Carol Ann Duffy, Roger McGough, Gillian Clarke, Liz Lochhead, John Cooper-Clarke, John Hegley and many others. It’s poetry – but possibly not as you’ve heard or seen it before.